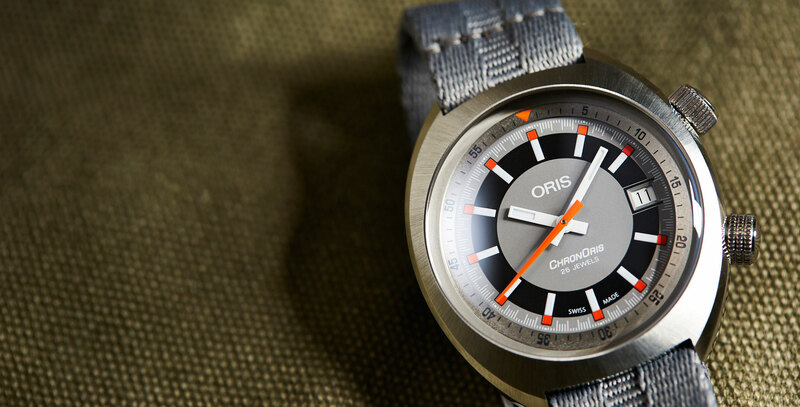 The story in a second: Disco might be dead, but the ’70s live on in Oris’ latest re-edition. A decade for experimentation, the ’70s was an era of bold shapes and brightly coloured designs (men’s turtleneck ponchos, anyone?). While many of these experiments should never be repeated (men’s turtleneck ponchos), there are a few special exceptions. 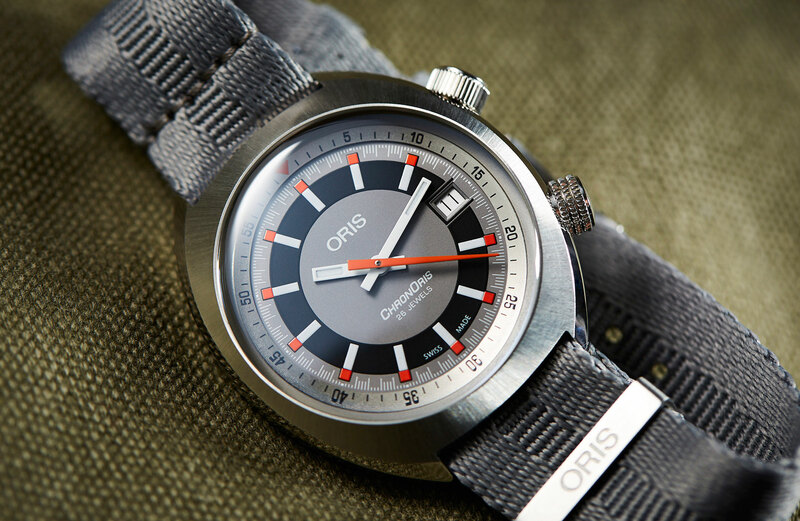 One of which is the Oris Chronoris. Released in 1970, it was the brand’s first foray into the world of motorsport and their very first chronograph. 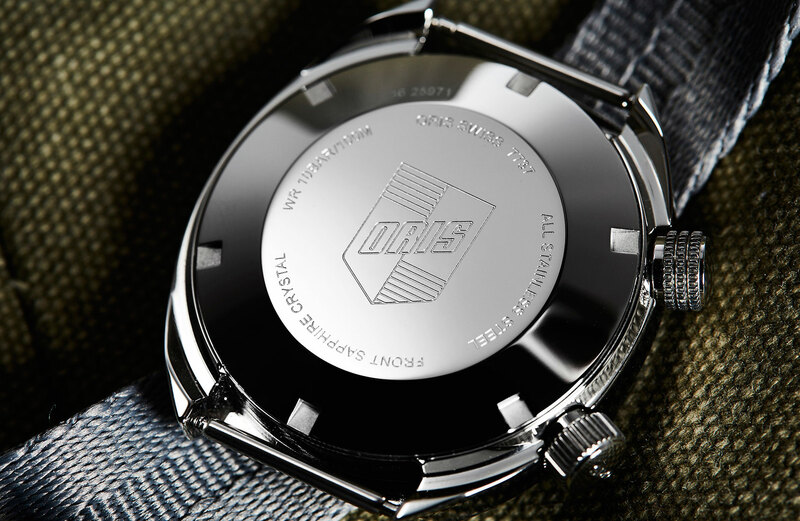 Since then, Oris has built a strong stable of auto-themed watches. Maintaining connections to the sport of motor-racing with partnerships including Audi Sport and Williams’ F1 teams. 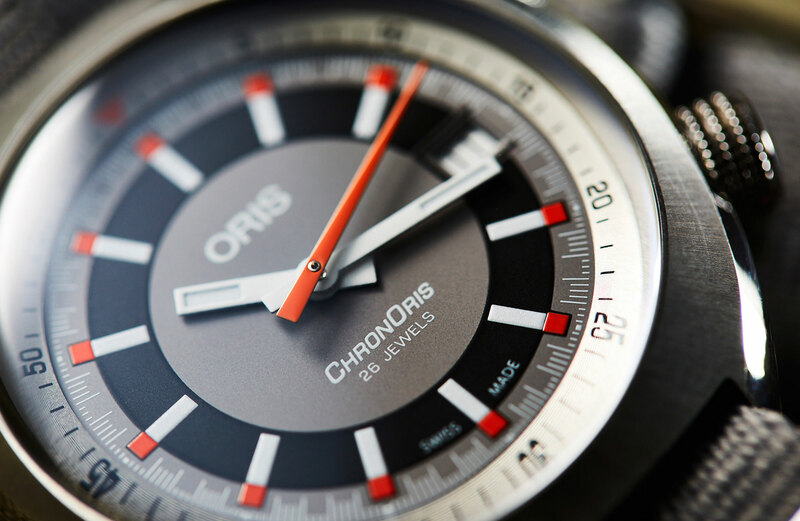 Oris first paid tribute to the Chronoris in 2005, in the shape of a retro-themed chronograph, and once again have honoured the one that started it all, with the release of the Oris Chronoris Date. 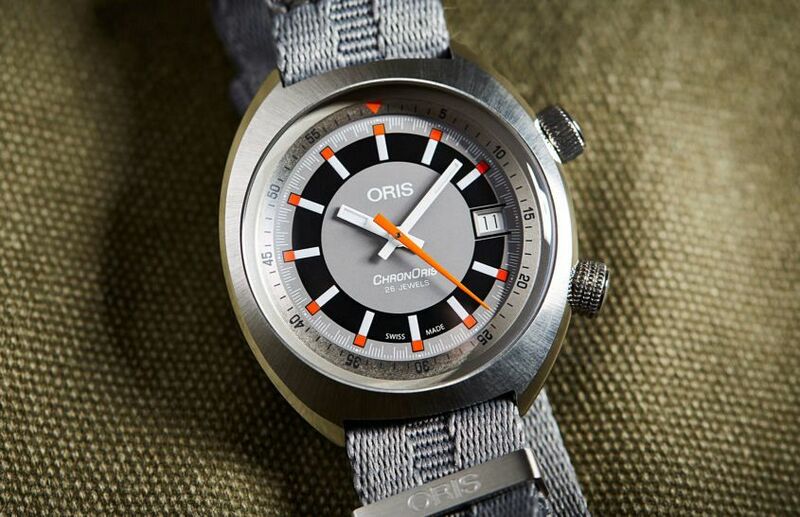 Keeping with the ’70s theme, Oris has used a subtle yet bold mix of colours to set apart the dial and hands. Pops of orange are met with the unmistakable monochromatic tones of silver, matt grey, black, and white. Which, when combined, create a distinct contrast that isn’t in your face, and makes for an incredibly easy-to-read dial. Even at night, with the hands and hour markers given the SuperLuminova treatment. A silver elapsed-time inner bezel surrounds the outside, and at 3 o’clock a white date window cuts into the black ring circling the centre, but rather than disturbing the flow, it’s visually balanced by the white hour markers. It’s not just the colour that adds to the throwback fun either, the minute track steers in and out from the centre of the dial revealing its racing personality. Especially when paired with the orange Speedo-inspired tapering seconds hand. No matter what your flavour, the Chronoris Date has a strap to match. It’s available with a choice of either a black or brown leather strap, a black rubber strap, a grey Nato-style strap, or an impressive stainless steel bracelet. Reminiscent of the original bracelet, it has no less than 15 links interconnected across, and while slim and limber it’s still decidedly solid. Oris have a great track record when it comes to strap options, but pictures don’t quite do the bracelet justice, and in the metal it’s really something. 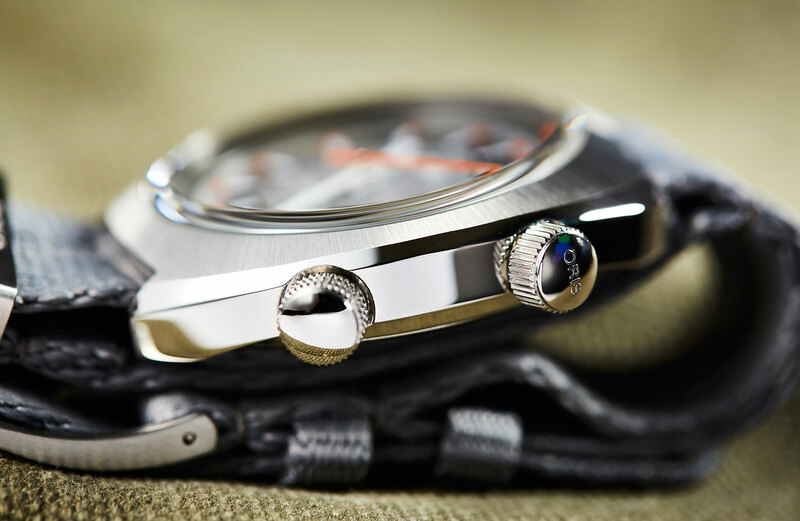 The rounded barrel-shaped case of the Chronoris has a surprisingly low profile that hugs the wrist. It looks and wears with all the charm of a vintage watch. Cushioned curves, sunburst finishes, and super-compressor style, the Chronoris Date is all about the ’70s. But on the wrist it delivers it in a very modern and noticeably motorsport kind of way. 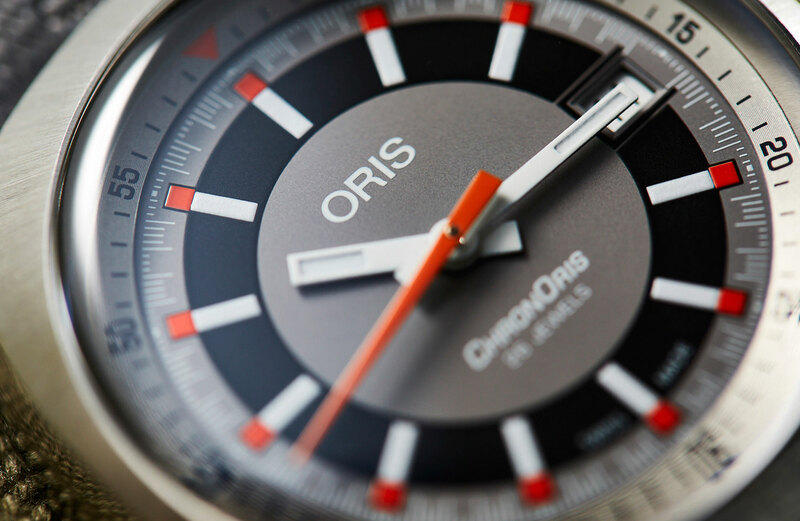 The Oris Chronoris breathes new life into a world where new vintage is becoming the norm. 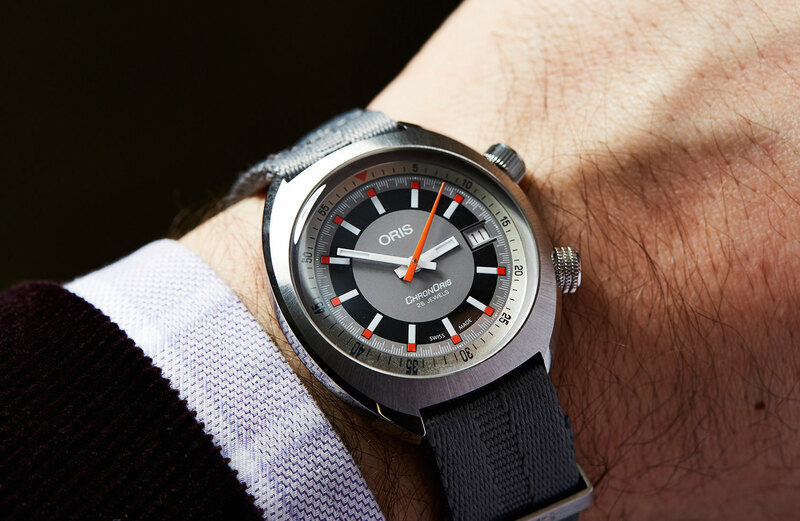 With releases like the ever-popular Divers Sixty-Five, Oris have shown that they know their way around a back catalogue, and it’s great to see a changing of gears from the usual dive watch recreation. All said and done, the Chronoris Date is a unique and value-packed little package. Those of you who love the vintage vibe but want something a little more unique and fun. Why couldn’t we have matching crowns?